With energy sources depleting at a rate faster than they are being built, it is only wise that we use the abundant energy available for free – the solar energy. Apart from the easy availability, solar energy helps control environmental pollution. Most of us shy away from installing solar power solutions at home thinking them to be expensive and cumbersome. You will, however, be surprised to know how easy it is to employ these power solutions. 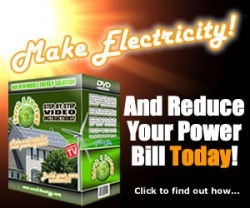 Moreover, these will help cut down your power bills. Finally, you will be delighted to know tat you are doing your bit to save power for the future generations. This article will explore the various solar power options available for home use. 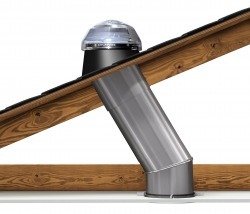 "Daylighting" systems for solar home lighting actually channel the sun's rays through a tube that is coated with a reflective coating on the inside of the tube. The top end of the tube extends through your house's roof. The bottom end of the tube shines the light into a room in your house. The bottom end of the tube ends in a lighting fixture that looks just like an electrical light fixture. 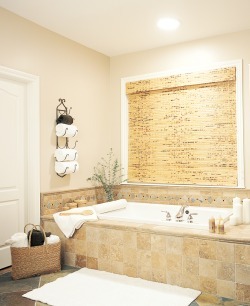 For more information on the Solatube brand of Daylighting system, check out Solatube's website. A solar home lighting system converts solar energy into electrical energy for your home. This is done via cells that are charged with solar energy. So, in the night, if you wonder how the lights are on in the house, it is because of the solar energy stored in the solar cells. You can install the solar home lighting system in your house and not worry about the electricity bills anymore. A solar cooker is a cooking utensil that uses absolutely no fuel for cooking. You can cook food for up to five people in the small box. If you are thinking that using a solar cooker will reduce your chances of spreading up a varied platter on the dining table, you will be surprised to know that you can not only boil food items in the cooker but also roast and bake! The only limitation with the solar cooker is the time it takes to cook. However, given the free source of energy it uses, this is a great option for cutting down those sky-rocketing bills and saving some power. Installing a solar heating system in your home helps cutting down your electricity bill along with saving the world’s quickly-exhausting power. If you are worried that a solar heating system will turn your sweet home into a gadget house or that it will be an expensive investment, your concerns are misplaced. Companies providing solar power solutions for homes make it a point to install aesthetically-pleasing heating systems in your house. As per as expenditure is concerned, investing in a solar heating system is wise because you get a return on your investment within 3-4 years, giving you absolutely free service after that.